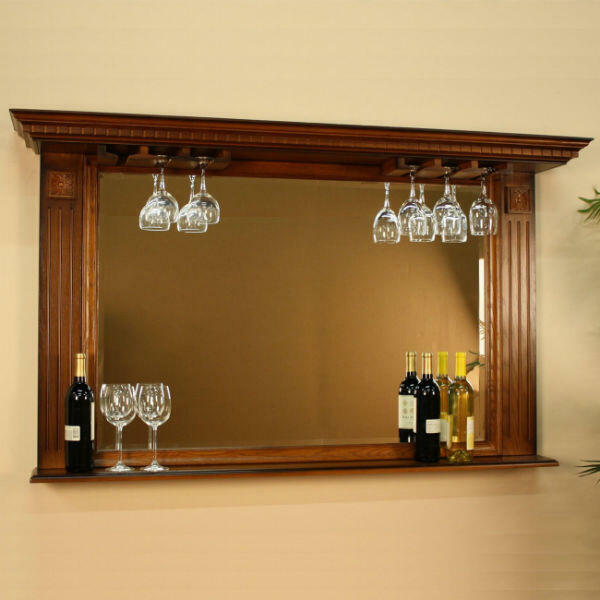 The Kokomo 60" Back Bar Mirror comes complete with a stemware holder and display shelf. 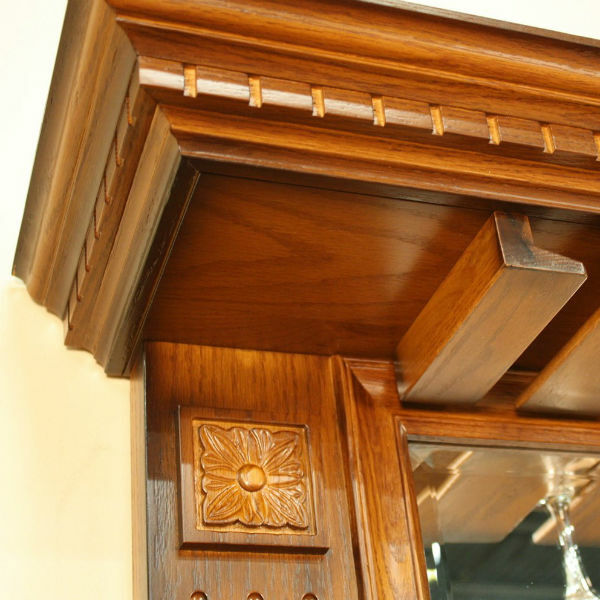 Deep fluting on both sides of the mirror brings out the detailed craftsmanship and the distinct wood grain in the American Oak. Available in Vintage Oak, this beautiful full frame mirror is a perfect accessory for the Kokomo Bar or as standalone accent piece.